This article is the fifth and the last of a series of the most successful marketing campaigns. For every campaign, we give you tips and best practices! It’s official: you’re in looooooove. You’re not interested in anyone else, you’re in it for the long haul and plan to grow old with that special partner. So how do you make it work with this VIP in your life? First things first, your VIP program is about adding value to your best customer, not simply throwing discounts at them (this will only waste Gross Margin dollars). This group of people needs to feel special, know that you are thinking about them and address them in a personal manner. 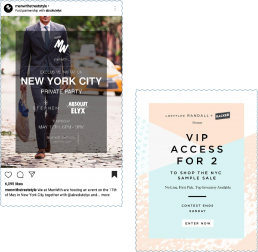 Use dynamic content to personalize emails just for them. For example, use info such as the first name when speaking to them. You can also showcase product recommendations based on past browser history. Share complementary products with them based on previous purchases or offer warranties/guarantees relevant to their recent purchases. Finally, these VIP users should be excluded from automated emails such as cart/browse abandonment since they are likely to be loyal customers anyway – so let’s save their inbox from unnecessary emails. Royce, Amex with their Black Card and Patek Philippe). Other ideas can be VIP access to events happening in your stores or around the city in which they live (concerts, shows, sporting events, etc.). other milestones you have in your CRM database (and with companies that can now automate these handwritten notes, you’re can look like an all-star with minimal work). Switch the conversation from email to phone whenever possible. Sending a text message or calling a customer to let them know breaking news will reinforce their brand loyalty decision. Direct access to a customer’s mobile device can lead to increased conversion and brand affinity- but do not abuse this privilege. Remember, the goal is to add value and reward them, not stalk them. 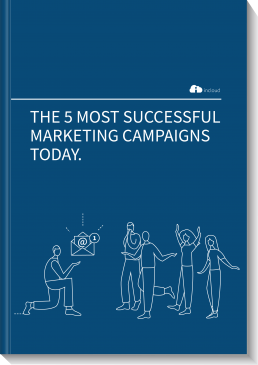 That’s it for our series of articles on the most successful marketing campaigns today! Thank you for following us through this lecture, and don’t hesitate to download our eBook (on the right) to know everything ! !